Last night I ran a quick errand at the Target right by my apartment in Shoreview as there were some things that I needed that I had run out of. One of the things that I needed was a hair product for my natural hair. Now, I went fully aware that Target carries a limited selection of products for my natural hair type, but what I was looking for I had seen at other Target stores around the Twin Cities and so I was pretty optimistic that I would find it. But I was wrong, oh so wrong. Yet the fact that I could not find what I was looking for was not the problem. The problem was that they barely had anything, anything for someone with my hair type. Like I said before, I know that Target does not carry much for people like me – at best we get a quarter of an aisle of products for our hair type. What I found was even less than that, way less than that. I would say it was less than half on an end cap (and it was mostly made up of horrible products like big bottles of gel, Pink Luster, and Motions). As I looked at what was before me, I felt really sad. Target’s products or lack thereof communicated a very real message to me: I am not the desired consumer (in Shoreview). I don’t mean to sound overly dramatic, but if you think about it, this is exactly what this means. It could be an intentional choice made by their marketing department, but it could also be unintentional based upon Shoreview’s racial demographics and who is buying what. Regardless, it tells me where I should shop and where I should not shop, in that if their store does not carry what I need, I have to go elsewhere. Target: I am reading your message loud and clear. Thanks for showing me where I, and people like me, are not welcome. Btw… Did you notice how rarefying comb attachments are getting when shopping blow dryers? I know! I’ve been looking around town for the passed month… The only ones I find are cheap ones, found in black stores. Elsewhere… I only find the nozzles and diffusers… Check out infomercials on haircare… They have 5 or 6 Caucasian models and one African American model, because we all “have” the same hair type. Thanks for your comment Linda. 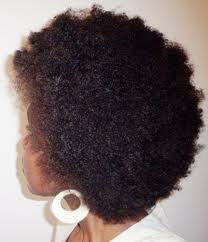 I guess I should clarify – they hardly had ANY products for any kind of black hair either relaxed or natural. It was very disturbing to me. I have not been shopping for a hair dryer in a while, although I need to. Thanks again!